There is a little chef in every person. People love to eat. And eat sumptuous dishes at that. Needless to say, it is inherent in everyone to satisfy the craving of taste buds. This book is designed for students who want to learn more about cooking. It covers the basics of culinary arts and the preparation of complex but sumptuous dishes that are a treat in every table. Learning more about culinary arts will also prepare students for a more challenging, demanding yet rewarding career in the food service industry. This book follows a format that addresses specific and actual needs of students in the culinary discipline. Each chapter begins with a list of objectives that gives the students a bird's eye view of what to expect from each chapter. The lessons then go on with a brief background of each chapter followed by a comprehensive discussion of lessons that are arranged from the most fundamental to the most challenging tasks like execution, preparation of dishes, cooking and even table-setting. 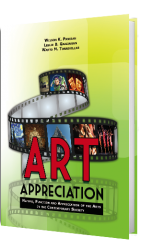 The lessons are graphically designed through the inclusion of pictures that are personally photographed by the authors to ensure better understanding among learners. 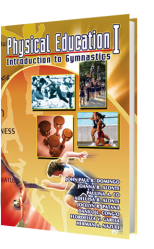 Each chapter contains exercises that intend to measure students' understanding of the lessons. There are also exercises that evaluate the practical skills of the students. A specific rubric system is provided for better organization and measurement of the intended skills. To ease comprehension of the recipes included in the book, a glossary of terms is provided with phonetic translations as well. 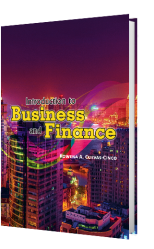 The recipes that are included in the book have been tested and specially designed for TESDA courses on BSHRM and HRS culinary arts subjects. Each recipe indexed at the end of the book to give easy access to those who would like to try it. Everybody loves to eat. Appetite is a special gift that must be freely enjoyed. But it takes more than appetite and cooking ability to be a good chef It takes discipline, passion and art. If you want to land a good career in the food industry, this book is a must for you. Categories: HRM, Our Product. 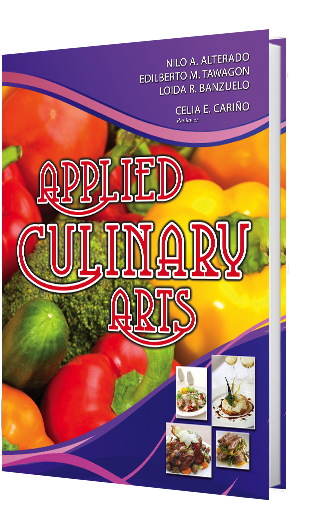 Tags: Appied Culinary Arts, College Books, Culinary, Culinary Arts, Edilberto M. Tawagon, Loida R. Banzuelo, Nilo A. Alterado.